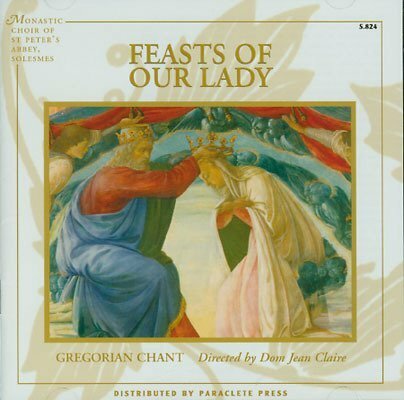 CD of the Monastic Choir of St. Peter's Abbey, Solesmes. Gregorian Chant, directed by Jean Claire. Includes two Masses of Our Lady plus the four Antiphons to the Holy Virgin in both Solemn and Simple tones. Total time: 44:25. Paraclete Press.